Hayward dentist Dr. Gary G. Fong uses state-of-the-art lasers for a number of general, restorative and cosmetic dentistry treatments to offer patients optimal comfort, minimal recovery time and exceptional aesthetic results. To learn more about our laser dentistry services, please call 510-582-8727; Dr. Fong welcomes patients from the surrounding Castro Valley, San Leandro and Union City, California, areas. From preventive care to periodontal treatments to cosmetic dentistry, lasers have a number of dental applications. For example, Dr. Fong uses the Diagnodent laser cavity scanner to detect the formation of dental caries in their early stages. This allows the earliest-possible, least-invasive treatment. Dr. Fong also employs lasers to help decrease periodontal pockets following deep cleaning procedures, for pocket sterilization, and in certain fillings treatments. Dental lasers are also utilized extensively in cosmetic dentistry. In addition to their oral health applications, dental lasers are often used in cosmetic dentistry to provide smooth, uniform contours to your gums and teeth. Lasers frequently serve as instruments in smile makeovers, where they can enhance the symmetry of the gumline. Lasers are also highly effective in treating so-called “gummy smiles,” in which excess gum tissue forms over the tops of the teeth; for additional information on treatment for this common condition, please see our Gum Recontouring page. If you’re unhappy with the appearance of a gummy smile or would like to discuss your laser dentistry options, please contact Dr. Gary G. Fong today. 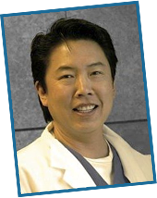 Dr. Fong welcomes patients from the greater Hayward, Castro Valley, Union City and San Leandro, California, areas.